The Galway Black Dragon Kickboxing Club will mark its 20th anniversary with an international fight night in the Clayton Hotel on Saturday. The main fight on the celebratory fight card is current European champ Paul "the hurricane" Huish from Fana Burca in Knocknacarra, who will square off with Dutch Thaiboxer Dwane Panka from the world renowned Mejiro Gym in Amsterdam for the vacant IKF World Lightweight K-1 title. Huish is an example of the club's success over the past 20 years under the direction of Pete Foley. He introduced the sport to Galway on March 27, 1996 when 37 adults showed up to St Patricks school hall in Lombard Street on the first night. The club has moved to several different locations since then - Shantalla Community Centre, the old Columban Hall, Glenrock Business Park in Ballybane, during which time it continued to flourish and expand before making a new 5000 square feet unit in Riverside Industrial Estate its home. Pete Foley says everyone was delighted with the new premises which boasted showers and changing rooms, a large training area, boxing rings, and all the necessary equipment. "The Black Dragon was fast establishing itself as the most successful kickboxing club in the country, but then disaster struck in March 2011 when the gym was completely engulfed in what was described as one of the biggest fires in Galway city in some 40 or 50 years and a lifetime of work went up in smoke." However, the club soon had a new home in a similar unit at the top of the Riverside Industrial Estate. "Without even a skipping rope, we gutted,cleared out and scrubbed the unit, and with the help of the good-willed people of Galway, we were back on track in record time and could once again open our doors." Foley says the club is not just about training champion fighters. "We also travel the world as sporting ambassadors for our city, we keep children off the streets, help promote health and fitness, and we train adults and children in discipline, self defence and the all-important street awareness. "We are involved also with several charities, and have helped raise almost €250,000 for causes through the many white collar boxing programmes and fight nights with which we promote." In celebration of the club's 20th milestone, Huish will headline the event some 15 years after first joining the club aged 11. Afer giving up twice, and mushrooming to 87kgs, he returned to the sport and now has the distinction of being the first person in this country to win national titles in four different disciplines with the highest weight title being at -69.5kg. He won two bronze medals at the Unified World championships in Italy in 2014 and in Spain in 2015 at -63.5kg and is the current and defending European Super Lightweight K-1 champion. 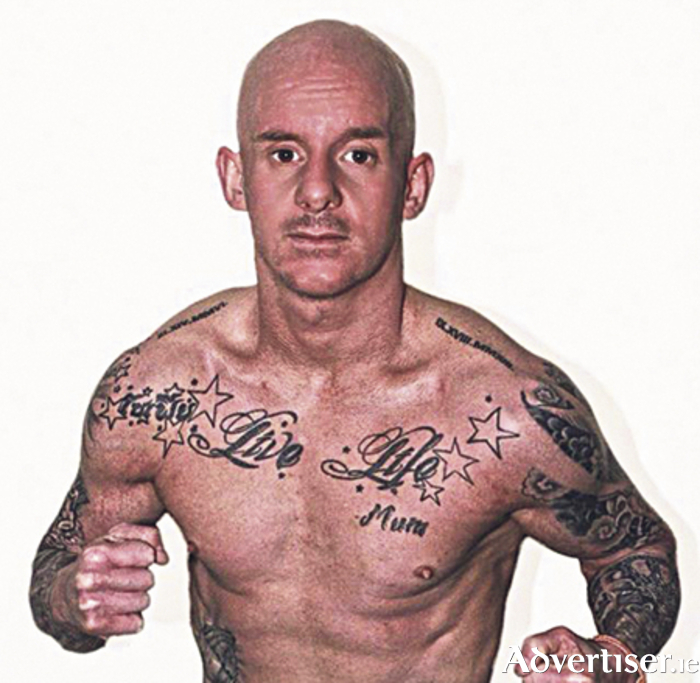 Huish headlines a 20 fight card on the night. Tickets for the fight can be purchased from the Black Dragon Gym, any of the fighters on the card, or a limited few at the door on the night.